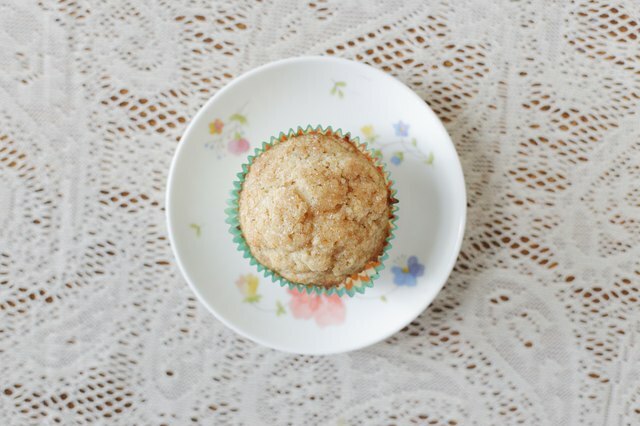 Bakery-style muffins often have a moist interior and domed crunchy top that may seem difficult to recreate at home. Too much gluten, a byproduct of over-mixing, and low-temperature baking can undermine your muffin recipe. When mixed and baked properly, the muffin forms a high peak suitable for adding a bit of crunch. 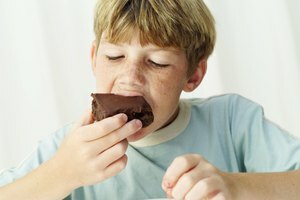 Melt any fats, such as butter, and bring the remaining wet ingredients to room temperature before mixing. 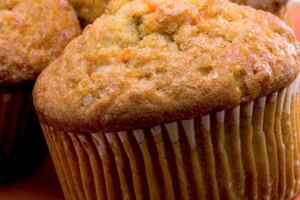 Solid fats in a muffin recipe can ruin the final texture of the muffins during baking. 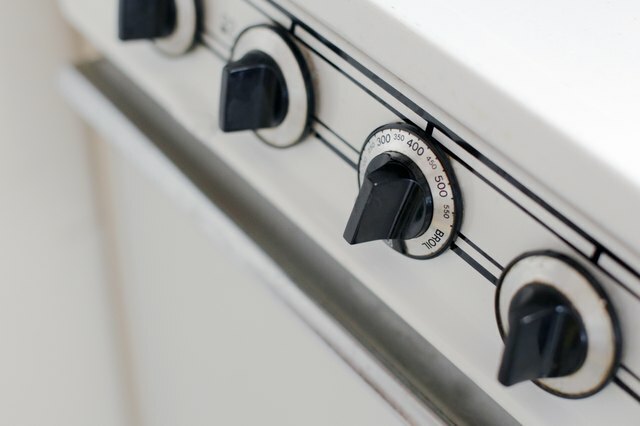 Preheat the oven to 400 or 425 degrees Fahrenheit while the ingredients come to room temperature. A high baking temperature results in a higher peak on the muffin tops. 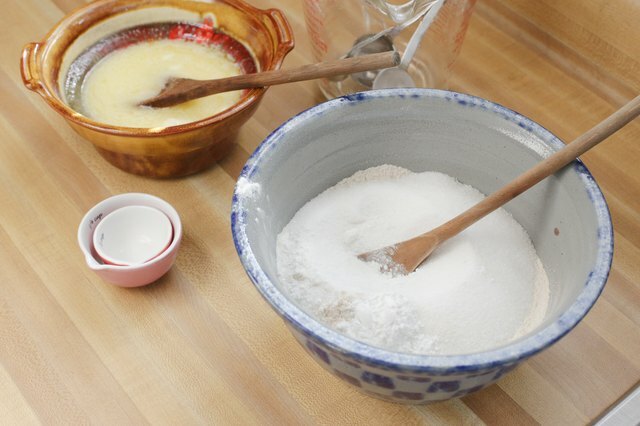 Mix the dry ingredients together in a large bowl. Combine the wet ingredients in a small bowl, mixing until incorporated. Pour the wet ingredients over the dry ingredients in the larger bowl. 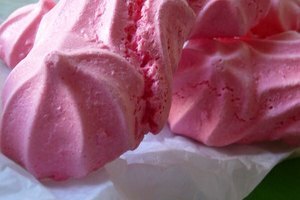 Fold the wet into the dry with a large spoon or spatula until the dry ingredients are just moistened. 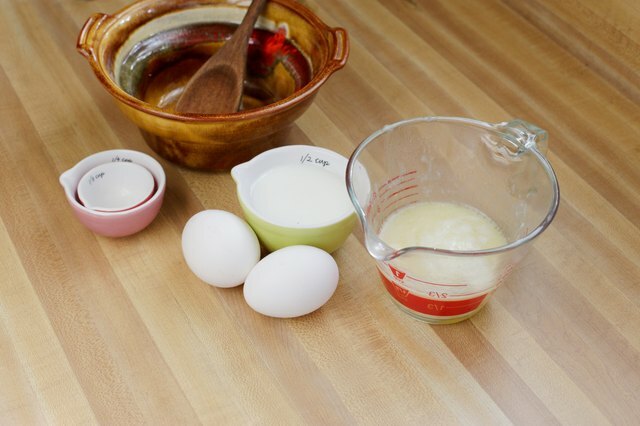 Avoid beating or over-mixing to the stage of a creamy batter. Properly mixed muffin batter has some lumps. 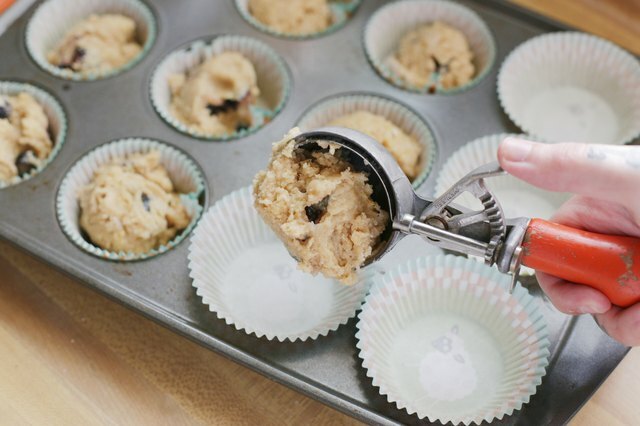 Pour the batter into a greased or lined muffin pan. Fill the muffin cups three-fourths full. 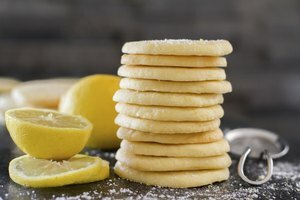 Allow the batter to rest for 15 minutes before baking if you use baking powder for leavening, which allows the flour in the batter to fully hydrate. If the recipe only uses baking soda, fill and bake immediately. Mix a crunchy topping in a small bowl, such as sugar and orange or lemon zest. Alternatively, combine equal parts flour, brown sugar and butter with a pastry blender to create a simple streusel topping. Or use plain white sugar. Cover each muffin with an even layer. Bake the muffins for 25 minutes so they cook through and form a high, domed top. 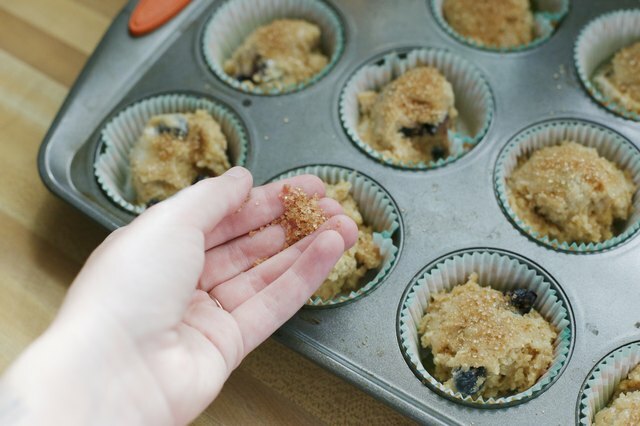 The crunchy topping sets during baking. Cool the muffins for 10 minutes before serving. 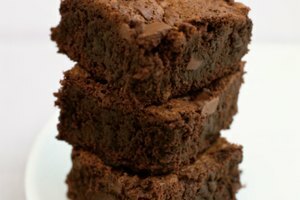 A low-protein flour, such as cake flour, results in a softer texture because it doesn't form as much gluten during the mixing process. 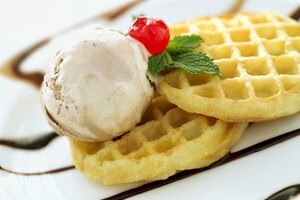 What Is the Difference Between Homestyle & Buttermilk Waffles?